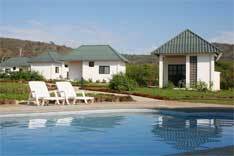 We offer eight separate bungalows with either double beds or twin beds. 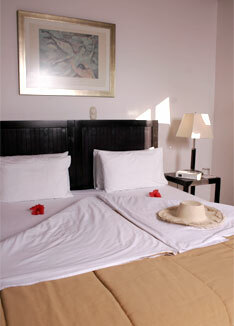 The rooms have Wi-fi Internet, split air condition, running hot water and a small roofed terrace. The bungalows are in a tropical garden, while the main building is directly on the sea front with a terrace leading onto the beach. The main building contains social areas, bar and dining room. A large collection of classical music and a varied library are at your disposal. By the pool you’ll find sun beds and pool towels provided free of charge. Our “faro” has an observation platform on top, where you can watch whales during the season or simply enjoy a drink by sunset. Rooms. Hotel in Manta. San Lorenzo beach, Manabí Ecuador. Know the facilities of our hotel and its surroundings in the photo and video galleries.